Tennis Elbow? But I don’t play tennis…. Have you reached out to lift the coffee pot, or gripped your briefcase at your side and had pain in the outer part of your elbow? How many times have you done these activities before today without pain? 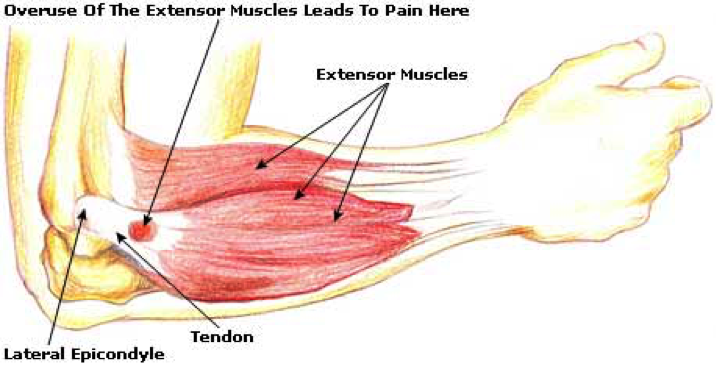 Tennis elbow, or lateral epicondylitis, is the overuse of the muscles and tendons that extend the wrist. These muscles attach at the bony area on the outside of the elbow (the lateral epicondyle) causing elbow pain. But I don’t play tennis, how did I get “tennis elbow?” There are many everyday activities that can contribute to lateral elbow pain. These are just a few activities requiring repetitive motions causing stress to the tissue that may result, overtime, in tiny tears in the tendons that attach the forearm muscles to the bony prominence at the outside of your elbow. 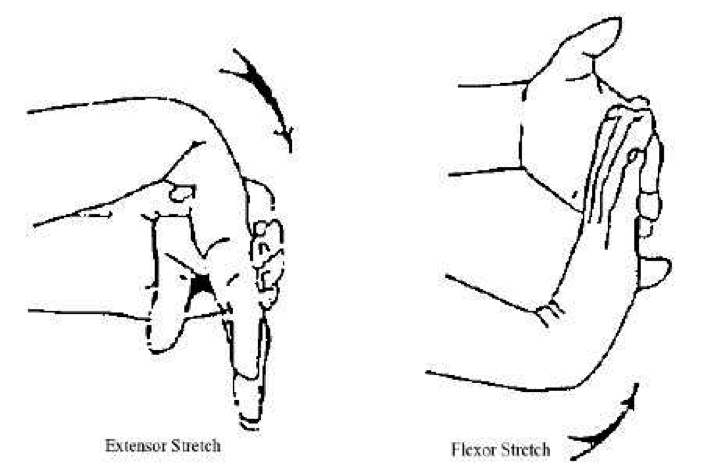 Symptoms typically occur gradually following repetitive use of the wrist muscles, but onset can also be sudden. If you are having symptoms, what can you do? Wrist support brace: A wrist support brace allows the overused muscles to rest and may be used during the daytime as needed, as well as during nighttime. It is not uncommon for pain to continue to a few months or even up to a year. If pain is not managed by performing the above suggestions, it is important to follow up with a physician. Other treatments including Occupational or Physical Therapy may be beneficial to decrease your symptoms and improve the functional use of your arm.